If you or a loved one is seriously injured in a truck accident, the last thing you may think about is whether the accident was caused by an unqualified or untrained driver. You want to recover, both physically and financially. You want to put your life together. 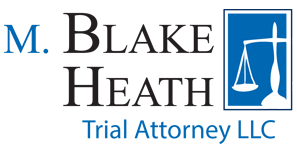 M. Blake Heath, Trial Attorney LLC we understand how disruptive a serious injury is to a family and will take the time to work with you as you heal. Semi Truck Accidents : Kansas City Truck Accident Attorney Blake Heath has the experience necessary to handle these very difficult cases. Catastrophic Personal Injury : When you or a loved one has sustained a catastrophic injury, our attorneys can help you get the remedy you need and deserve. Insurance Bad Faith : After an injury, you should not have to fight the insurance company to recover the damages you are due. We can help. Insurance Litigation : In addition to representing individuals who have been catastrophically injured, our growth allows us to meet the growing demand for lawsuits against insurance companies. Highway Defects : If you have been injured in a highway accident caused by, or worsened by, a highway defect, we can help. Wrongful Death : If a loved one has been killed due to another’s negligence, M. Blake Heath, Trial Attorney LLC can pursue a wrongful death claim for you. Car and Motor Vehicle Accidents : We can help if you have been injured in a Missouri car accident. Workplace Accidents : Catastrophic injury in a workplace may be subject to a third party liability claim. Contact us when you have been injured on the job and you think some besides your employer may be partially at fault. Premise Liability : When you are injured on someone else’s property, perhaps a business or homeowner, you may have a claim based on premise liability. Negligent Security : M. Blake Heath handles cases against bars, restaurants, and hotels where the failure to properly train and supervise staff or the failure to have adequate safety policies leads to injuries to a customer or employee. To learn more about personal injury law, visit our Personal Injury Practice Center. If you have been seriously injured due to another’s negligence in Jackson County, Missouri, contact an experienced personal injury lawyer at M. Blake Heath, Trial Attorney LLC for a free case evaluation.